WILMINGTON, Del. (WPVI) -- The family of a student who died after being attacked by classmates in Delaware is suing her attackers and the school district. 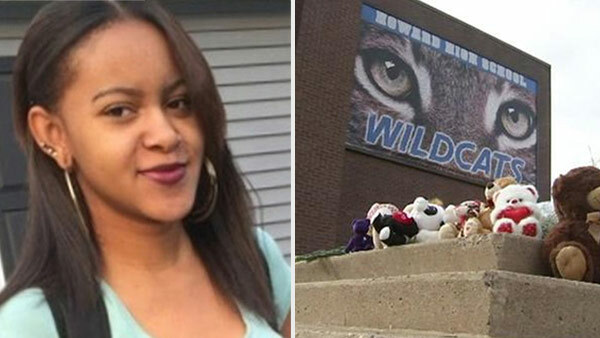 Sixteen-year-old Amy Inita Joyner-Francis died in 2016 after she was attacked by three classmates in a Wilmington high school bathroom. She died from a pre-existing heart condition. The News Journal of Wilmington reports that the lawsuit filed Monday seeks compensatory and punitive damages from the school district and two students charged in the attack. The filing alleges the school district failed to monitor bathroom activities, which amounts to negligence in its duty to protect Amy. The suit follows a judge overturning a criminally negligent homicide and conspiracy conviction of one of the students last month. She will be resentenced next month.